How precious is this note from Daniel? He wrote it for me last night. 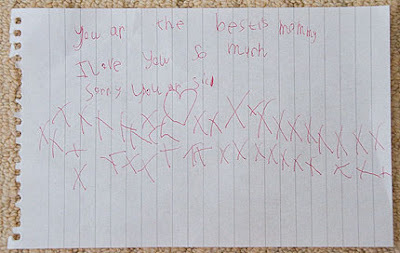 It says, "You ar the bestis Mommy. I love you so much. Sorry you are sic."